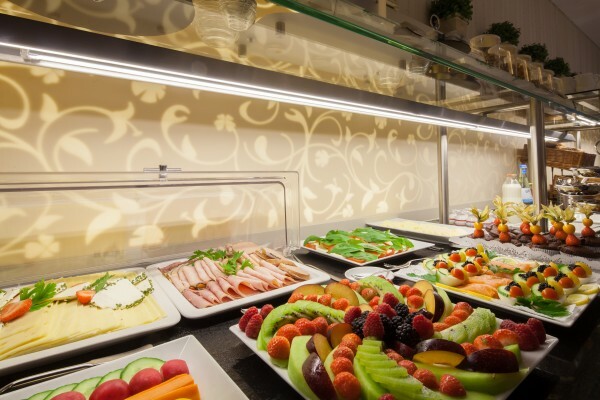 In the Hotel Brandies Berlin every morning starts with a breakfast buffet. We present a rich selection of fresh baked rolls, german bread, french croissants, fruit salad, and Bio-Müslis from Berlin production. 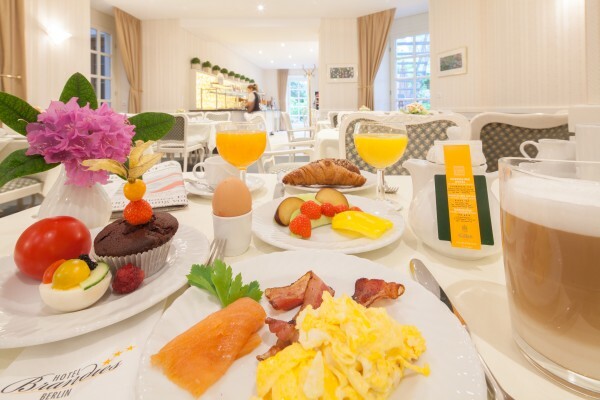 Freshly prepared scrambled eggs together with bacon and ham, sausages "Nürnberger Bratwürstchen" or meatballs "kleine Berliner Buletten" give you just the rigth amount of energy for a good start into day. Come and find out! For small guests we like to offer hot chocolate. Let us suprise you with a small present for our youngest guests. Nutella is of course served every day. For special dietary wishes, please contact us in advance. In the summertime the garden terrace is open. 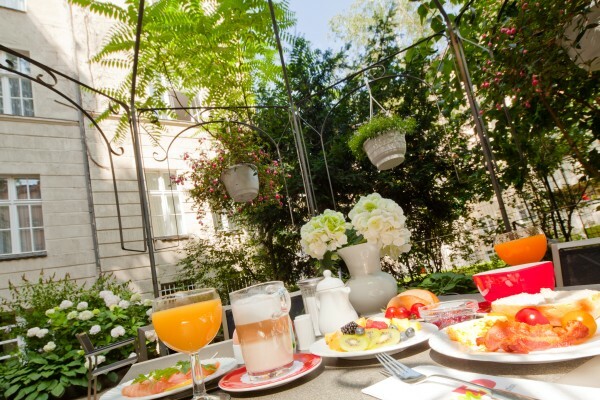 Breakfast in the garden is a wonderful way to start your Berlin visit. The garden is only open to hotel guests during the day time. 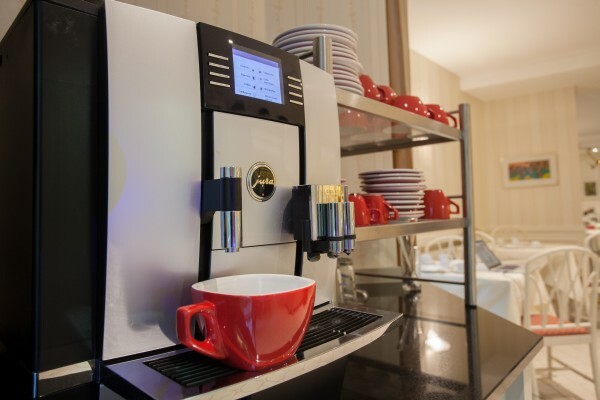 A coffee maschine in the lobby offers free drinks after 3pm.